In the largest clinical microbiome study in infants reported, researchers explored the sequence of microbial colonization in the infant gut and found distinct stages of development in the microbiome. The All of Us Research Program, part of the National Institutes of Health, has named a consortia led by the Baylor College of Medicine Human Genome Sequencing Center as one of three centers responsible for generating clinical grade genomic data. NHGRI/NCI grant supports Baylor's KidsCanSeq program to serve highly diverse patient population at five sites. Findings from 11,000 patient cohort data has produced game changers for translational research and clinical trials. Collected genetic and clinical information provides hope for a path to a cure. The HGSC Clinical Laboratory (HGSC-CL) is the CAP/CLIA certified molecular diagnostic laboratory operating within the Human Genome Sequencing Center at Baylor College of Medicine. With a commitment to improving health care through genomic testing, HGSC-CL offers clinical testing services in support of large-scale clinical sequencing efforts. A new paper available in preprint on bioRxiv describes the methods developed to harmonize genetic testing protocols linking multiple sites and investigators for the eMERGE III Network. The results mark a critical achievement toward global standardization of genetic testing by establishing protocols for different sites to harmonize the technical and interpretive aspects of sequencing tests. The integration of structured genomic results into multiple electronic health record systems by the eMERGE Network also sets the stage for clinical decision support to enable genomic medicine. A collection of 27 papers from The Cancer Genome Atlas (TCGA) consortium has been published reporting on the integrated project to analyze all 33 cancer types and to classify mutations and specific pathways. Many of the papers feature significant contributions from Baylor College of Medicine and its Human Genome Sequencing Center researchers. The findings from the 11,000 patient cohort data appear in Cell publications. This new strategy has proven successful in analyzing an unprecedented set of 5,000 samples, which constitute a critical part for the international consortia efforts known as The Cohorts for Heart and Aging Research in Genomic Epidemiology, or CHARGE. In a pilot Open Access (OA) project from the CPRIT-funded Texas Cancer Research Biobank (TCRB), many Texas cancer patients were willing to openly share genomic data from tumor and normal matched pair specimens. For the first time, genetic data from seven human cancer cases with matched normal are freely available without requirement for data use agreements nor any major restriction except that end users cannot attempt to re-identify the participants. The TCRB was created to bridge the gap between doctors and scientific researchers to improve the prevention, diagnosis and treatment of cancer. In a paper published in BMC Genomics, a team led by scientists from Baylor College of Medicine’s Human Genome Sequencing Center present Parliament, a structural variant (SV) calling pipeline that brings together multiple data types and SV detection methods to improve the characterization of these larger variants. In a new study published in Science Advances, an international multi-institutional research team, led by the Human Genome Sequencing Center at Baylor College of Medicine, reports novel results describing the genome sequences and evolutionary history of six Papio baboon species. This work sheds new light on the fundamental biological processes that generate new species and has implications for the origin of our own species, Homo sapiens. A team from the All of Us program is touring the country with an interactive exhibit to encourage under-represented minorities to participate in this NIH-funded precision medicine and genomics project. Houston Chronicle reporter Emily Burleson checked out the exhibit trailer Saturday at the Puerto Rican and Cuban Festival and visited with tour representatives and Dr. Richard Gibbs, director of the BCM-HGSC, to discuss the benefits of this groundbreaking precision medicine initiative. Researchers using data from the long-term, ongoing Atherosclerosis Risk in Communities (ARIC) study found that the levels of lipoprotein triglycerides (LDL-TG) predicted not only heart attack but also stroke. They also observed that a genetic variant of APOE, known as APOE2, was found to have the strongest association with both RLP-C and LDL-TG. It was associated with higher RLP-C but lower levels of LDL-TG. Sequencing for ARIC was carried out at the Baylor College of Medicine Human Genome Sequencing Center. Dr. Fritz Sedlazeck of the Baylor College of Medicine Human Genome Sequencing Center and Dr. Arne Nolte of the Institute for Biology and Environmental Sciences at the University of Oldenburg, Germany, have been awarded the 2018 Plant and Animal SMRT® Grant. This grant provides the researchers access to the PacBio Sequel System at GENEWIZ, as well as the materials needed and bioinformatics support to conduct comparative genomic sequencing on the newly discovered European cavefish. The BCM-HGSC, founded in 1996, is a world leader in genomics. The fundamental interests of the BCM-HGSC are in advancing biology and genetics by improved genome technologies. 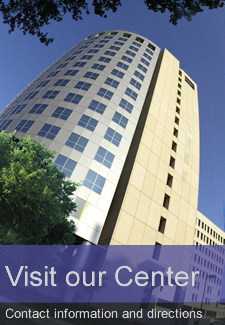 One of three large-scale sequencing centers funded by the National Institutes of Health, the BCM-HGSC's location at the heart of the Texas Medical Center provides a unique opportunity to apply the cutting edge of genome technologies in science and medicine. Subtle changes in chromatin loop contact propensity are associated with differential gene regulation and expression. Megabase Length Hypermutation Accompanies Human Structural Variation at 17p11.2. De novo and inherited TCF20 pathogenic variants are associated with intellectual disability, dysmorphic features, hypotonia, and neurological impairments with similarities to Smith-Magenis syndrome. Transcriptomic profiles of retinal ganglion cells are defined by the magnitude of intraocular pressure elevation in adult mice.